a few tablespoons of granulated sugar. 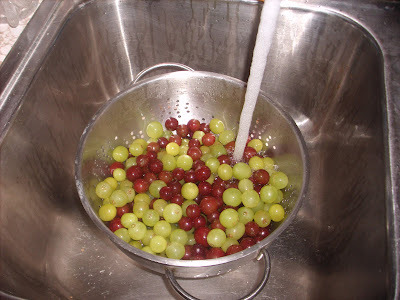 Remove grapes from the stems and rinse thoroughly. Place the damp grapes on a cookie sheet with a towel or paper towel on it. The towel will soak up any extra water and prevent the grapes from freezing to each other and the cookie sheet. 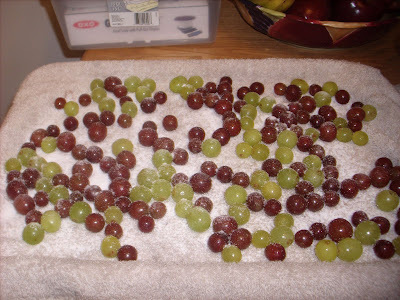 Spread them out evenly. 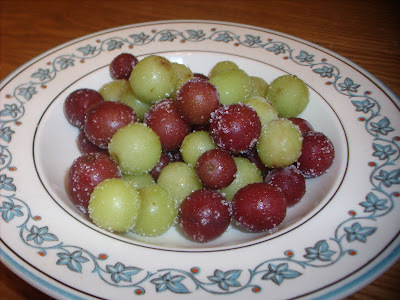 Leave in the freezer for at least 4 hours preferably overnight. Roll the grapes around on the towel to get more sugar to stick to them. Omitting the sugar is always an option for a healthier snack. 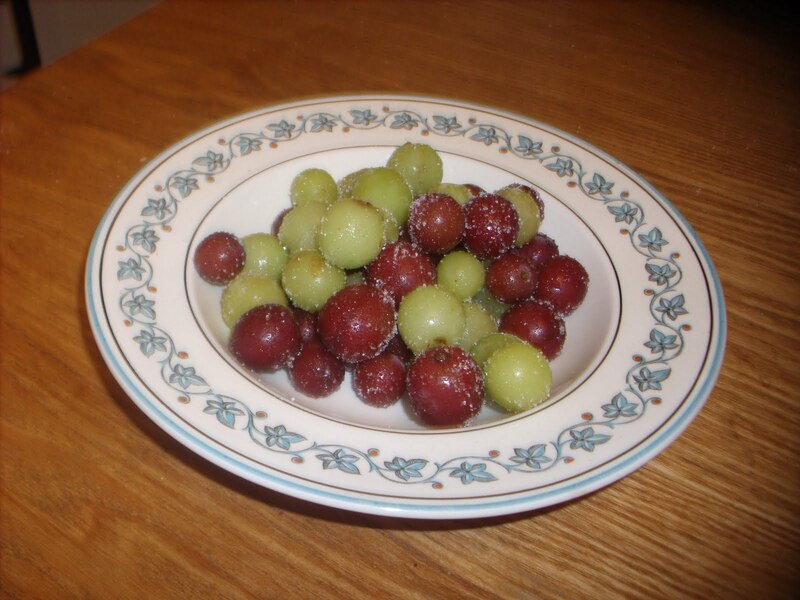 These were so good and they look so great in a bowl.